At various points during this awards season that culminates Sunday night at the Academy Awards, there have been three prohibitive favorites for the Best Picture Oscar. For most of the fall, prognosticators assumed Zero Dark Thirty would take home Oscar gold. After the controversy over that film’s depiction of torture reached a fever pitch and director Kathryn Bigelow was not nominated for Best Director, everyone assumed that the safer Lincoln would get the nod. 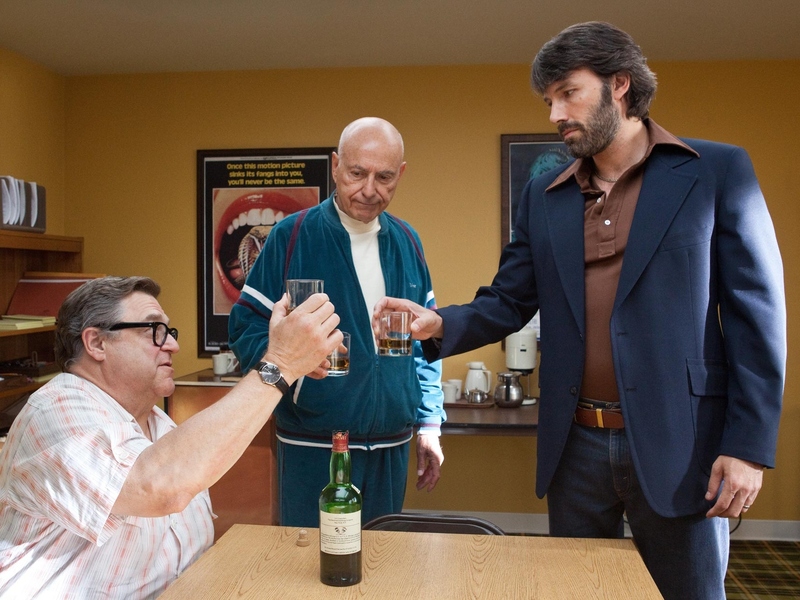 Then Argo, whose director Ben Affleck was also not nominated, went on a run, winning the major awards at the Golden Globes, PGA, DGA, and SAG Awards. It’s unusual for an Oscar race to shift this heavily not once but twice in a season. But what’s even more unusual is that all three films are basically about the same thing. Each of them features a lead character trying to achieve a task that others have said can’t be done. Their goals – extricating American citizens from Tehran during the Iranian Revolution, passing the 13th Amendment, and killing Osama Bin Laden – seem virtually impossible at the start. Each lead character overcomes the odds, at times lying, cheating, or stealing to achieve their goal. But so what? That plot description is the basis for almost every work of drama ever performed. And while much has been written about the overtly political content of this year’s Oscar nominees, a closer examination reveals that their shared subject is far more specific than “politics.” Each film offers a rousing defense of government in a time when Congress is held in historically low esteem. By offering audiences a tantalizing behind-the-scenes look at crucial or exciting government victories, these films ask us to trust that our government has our best interests in mind, even when all evidence points to the contrary. It is a classic example of cinematic wish-fulfillment. The picture painted by these films – of an American government deeply protective of its citizens – offers not introspection but mere distraction from our current woes. At the very least, the temporary good will they may engender towards government could buy those in Congress a little time before America’s rightly disgruntled citizens decide to throw the bums out again. One more note before we get to the films: it seems impossible to consider these films in any context but the post-9/11 era, particularly since the Obama administration’s purported commitment to transparency in fighting the War on Terror is under heavy scrutiny at the moment. Americans are increasingly concerned at our government’s refusal to let us know what they are really doing. These three films neatly offer a substitute and show us that our government is doing the right thing, even when it can’t tell us about it. Argo is the most reverent and uncritical of the three, and that’s why it will probably win on Sunday. The mostly-true story of a CIA agent who teams up with a movie producer to extricate American diplomats from Tehran is a gushing love letter to both the clandestine service and Hollywood, which makes a tempting offer for the Academy. But if a movie is pro-CIA, pro-America, and pro-Hollywood, it has to be against something, and in Argo, it’s the Iranians who get short shrift. Argo presents to its audience an image of Iranians who are irate and murderous and harbor primitive attitudes towards women, and even though the events of the film take place in 1980, it feels more like a 9/11 film. In this era, images of angry Muslims threatening the lives of American citizens cannot be extricated from our feelings about terrorism; the fact that the opening sequence, in which the Americans escape from an angry mob of Iranian revolutionaries who are storming their embassy, bore some similarities to the Benghazi incident last year only aids the comparison. But Argo offers viewers a feel-good story in which the Americans save the innocent civilians from the angry, hate-filled Muslims; it may have been fact in 1980, but as a film in 2012, it is fantasy. The film’s director, Ben Affleck, is a proud liberal, and he wisely includes a comic-strip opening in which it is explained that the Iranians had good reason to hate Americans, but this exposition quickly fades from memory behind the gripping thriller Affleck has concocted. Indeed, I am not sure Affleck intended to make such a blatantly jingoistic film. Rather, he chose to make a film that, in the words of Andrew O’Hehir at Salon, “turns a fascinating and complicated true story into a trite cavalcade of action-movie clichés and expository dialogue.” Its simplistic sense of justice and depiction of the War on Terror by proxy is a result of his appeal to commercial sensibilities. Lincoln is set in a time period even further away from our own, but its parallels to our political era are impossible to ignore. There is an old saying that “laws are like sausages; it’s better not to see how they are made.” This is the film’s subject, but its statement of purpose is to show that governing is hard and that even the most virtuous men must compromise in order to affect change. Lincoln, that famous paradigm of virtue, is shown lying to his colleagues and buying votes from members of Congress in order to pass the 13th Amendment. 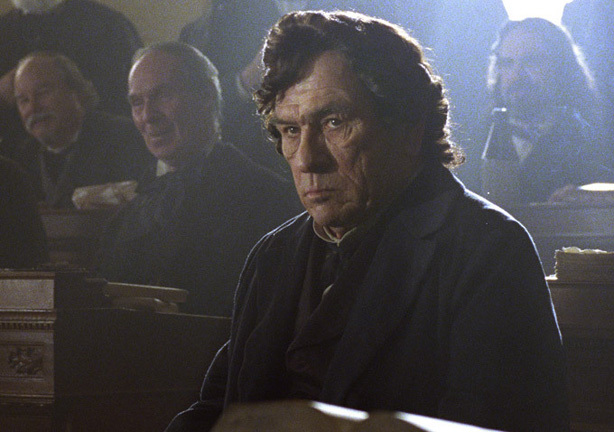 But the most crucial moment in the film does not belong to Lincoln. Thaddeus Stevens, the fiery, principled abolitionist, has a key reversal where he agrees to back off of a strong stand he had previously taken in order to aid the bill’s passage. Spielberg draws no explicit connections to present day, but he doesn’t need to; the film depicts a lawyer-turned president from Illinois working to pass historic legislation at the beginning of his second term. Any questions? Some have suggested that Spielberg is offering an example of leadership to our current president, but the film functions more as cover. By showing the moral compromises that led to the biggest victory for liberty in America’s legislative history, Spielberg defends government by substituting a mythologized political figure and historic legislative battle for our own Congress of manufactured crises and unprecedented partisanship. We don’t get to see the sausage being made in real life, so we can only assume that Spielberg’s version, in which good men compromise their values to serve liberty, is akin to reality. This narrow-minded focus on the virtues of government does not come without cost. The film’s various detractors have pointed out that it largely ignores the contributions of black Americans to the civil rights debate. In a New York Times op-ed, Professor Kate Masur of Northwestern University wrote that the film “helps perpetuate the notion that African Americans have offered little of substance to their own liberation” and that it “it reinforces, even if inadvertently, the outdated assumption that white men are the primary movers of history and the main sources of social progress.” What underlies these failures is similar to what afflicted Argo: Spielberg is more concerned with entertaining the public, and often the whole story does not fit into a two-hour commercial drama. When forced to choose, Spielberg will always choose the more entertaining angle, regardless of its implicit message. The debate around Zero Dark Thirty concerns itself with the same questions as Lincoln: how much will we give up to achieve justice? The film’s protagonist, Maya, gives her entire life to her dogged pursuit of Bin Laden, and the film’s final scene – in which she has no answer to the question, “Where do you want to go?” – is deeply impactful. But there is, of course, a more notable debate that has surrounded the film. Weeks before its release, journalists such as Glenn Greenwald scolded the filmmakers for depicting torture as providing key information that led to the killing of Osama Bin Laden; other journalists claimed the film did no such thing and only offered an impressionistic account of the War on Terror, even as the filmmakers went around town touting their “journalistic” brand of filmmaking. The film is intentionally vague on this point, but both camps leave out an important perspective: depictions of torture in the film are presented as an emotional response to 9/11, not a policy prescription. It’s torture as vengeance. Consider the opening moments of the film, in which Bigelow creates an aural collage of actual emergency calls from inside the Twin Towers. The final voice heard is from a woman just moments from death, who tells the 9/11 operator on the other end that she is “burning.” This is emotionally harrowing stuff, and Bigelow immediately follows it with a twenty-minute torture sequence. If we consider the implicit statement made by the montage, this torture is not a tactic meant to produce information (although it does) but a form of punishment to be inflicted on anyone even loosely associated with Al Qaeda. As such, Zero Dark Thirty offers the most introspective, soul-searching self-perception of America in the post-9/11 era. Argo is blindly patriotic and jingoistic by accident; Lincoln is reverent and backward-looking. ZD30, too, sometimes makes things too easy for the viewer. It’s adherence to the Rogue Cop formula, in which a law enforcement agent battles her short-sighted bosses in dogged pursuit of a criminal, often holds the film back from transcendence. 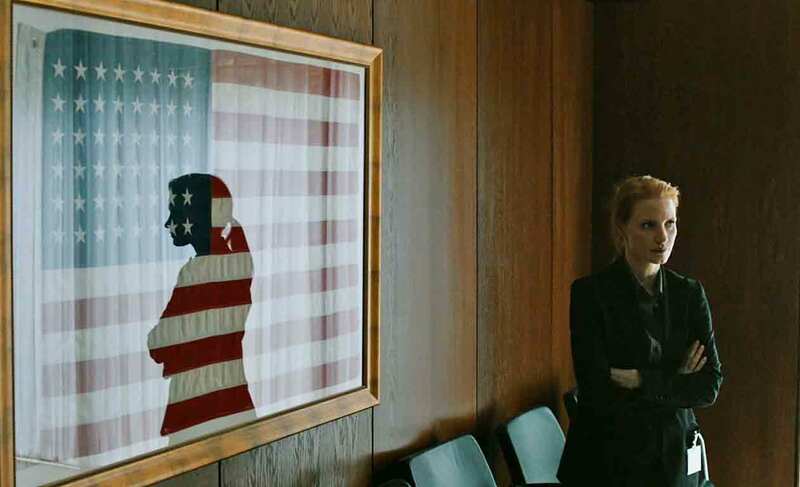 But in the stark brutality of its opening sequence and the sudden quiet of its ending – the only moments in the film when Maya seems unsure of herself – Zero Dark Thirty asks audiences to at least contemplate the motivations and effectiveness of American government in the post-9/11 era. While Argo and Lincoln may have the best chances at taking home an Oscar on Sunday, only Zero Dark Thirty is asking the right questions. Really, it’s the only one asking any questions at all.